It felt like a weekend of tidying up loose ends. Saturday was errands, including returning the wrong bike tire and picking up the correct one (Schwalbe "green guard" Marathon != Schwalbe Marathon Plus (blue kevlar, much better)). Also pancakes topped with strawberries out of the freezer. Maybe I will make some pumpkin apple bread soon, too. Pumpkin puree is slightly more challenging to use up, but I'm a determined person. 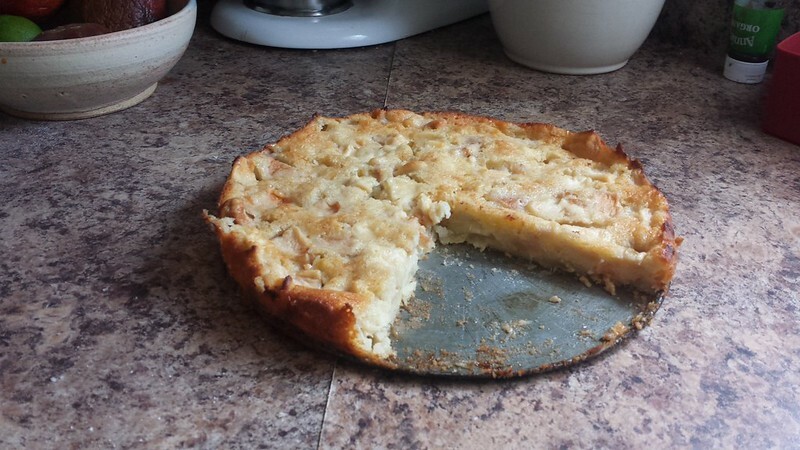 I think I'm now down to potato flour, rice flour, semolina, a bit more almond flour, and the random gluten-free flour from scrottie's mom. I will now start subbing in the gluten-free flour as I would use soy flour, seeing as it's made of roasted chickpea flour plus rice flour. The potato and rice flours are small amounts and will keep. That's all ignoring the 20-lb bag of wheat bran and the 25-lb bag of wheat germ that were purchased for the crickets. 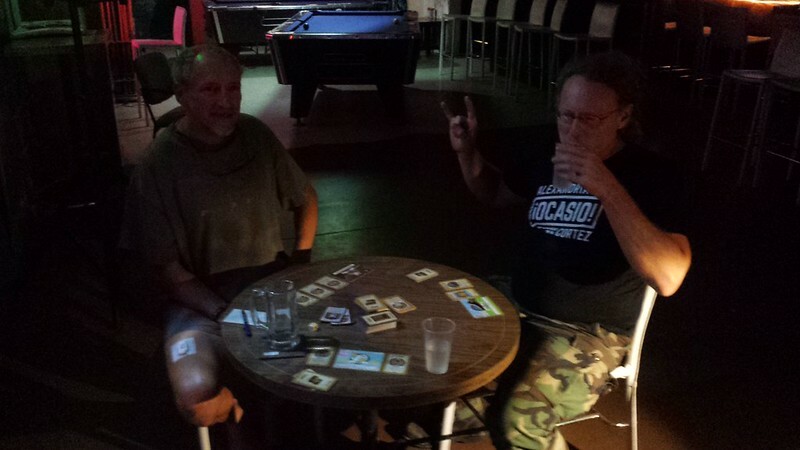 Played board games at the Palo Verde Lounge on Saturday night. On Sunday, I used underglazes to try and paint designs on two more porcelain bowls. I am going to try and spray on a thinner layer of Klear glaze, and will leave a note with each bowl noting that they're porcelain. We shall see. These things are always experiments, as I've noted. I also started the house packing process by disassembling Old Faithful. Two weeks until showtime. And so it begins again (ugh). Which board games were you playing? Is that scrottie wearing the Ocasio-Cortez shirt? My hobbies include blowing raspberries at him on Twitter when he goes base-jumping off the far edge of progressivism. Yes, that is him! And GOOD, I'm so glad you have the energy to blow the raspberries, heh. Really, I'm generally grateful for your perspective on political matters. It's an arena where I easy get tired and fed up. And let's see - we were playing Adventure Time Munchkin. Prior to that, we played Qwirkle - the travel version. My first time playing Quirkle, and it was a fun bit of spatial reasoning. You probably remember this, but chickpea flour is gram flour or besan in the Healthy Cuisine of India book. It's used in the spicy turnip/tomato sauce recipe, which is very good. Or this radish recipe uses a half cup! https://www.tarladalal.com/Mooli-Subzi-Radish-Dry-Vegetable-32794r I bet the rice flour adulteration would be fine. Oh aye! Hmm, I don't think I've ever tried the spicy turnip recipe...sounds delicious (but also it's lunchtime, heh). Interestingly, this particular bag of gluten-free flour doesn't have the same strong flavor/smell or texture that I associate with most gram flour. I think the creators must have done something to it during the preparation to make it work better as a more neutral flour type - the packaging declares that it is toasted, for instance. Overall I would consider it to be a reasonably nice flour for those who eat gluten-free. But otherwise I think I will mostly continue to happily use it as a soy flour substitute in recipes. You are reminding me, though, that I've also got this nice recipe for chickpea crepes.